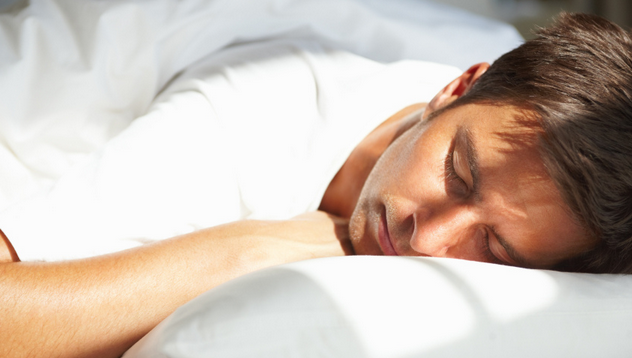 It's time to know the truth behind some of the most common sleep myths. How much do you really know about sleep? It’s a topic most of us assume we understand, but researchers are still learning how sleep—or the lack of it—affects our performance and health. Myths about the best ways to get a good night’s sleep continue to circulate. If you’ve ever found yourself counting sheep (or more likely, scrolling through your social media feeds) because you can’t doze off, you might want to reconsider what you thought you knew about smart sleeping habits. Sleep myth no. 1: Sleeping pills are harmless. The reality: It depends on what you call harmless. There have been numerous reports of sleep medications like Ambien causing users to carry out bizarre behaviors, such as eating catfood or even driving across town, in their sleep. And even when taking sleeping pills does not lead to sleep-eating or sleep-driving, the upside is minimal: According to research by the National Institutes of Health, people who start taking prescription medication only get an average of 15 minutes of extra sleep a night. Sleep myth no. 2: Energy drinks can keep me going all day long. The reality: There is no doubt that energy drinks provide a temporary buzz that can keep you awake during the day and even at night. Unfortunately, this buzz doesn’t protect against the negative consequences of not getting enough sleep, which include increased risk of heart disease, diabetes and weight gain. Sleep myth no. 3: Watching television before bed is a great sleep aid. The reality: People often list watching TV before bed as an insomnia cure. In fact, the opposite is true. The light emitted by the TV reduces the amount of melatonin the body produces, making it harder to fall asleep and stay asleep. Sleep myth no. 4: Early to bed, early to rise, makes a man healthy, wealthy and wise. The reality: This could be a “wise” habit as long as you get the quantity of sleep needed and you stick to that routine throughout the week. In addition, optimal sleep time—the hours at which we get our best rest—differs throughout the population. Some people’s biology dictates that they are early birds, naturally inclined to rise early and sleep early, while others dictates that they are night owls. For the percentage of the population that functions best late at night, forcing sleep at an unnaturally early hour can actually lead to sleep loss and decreased productivity. Sleep myth no. 5: If you can’t sleep at night, don’t get out of bed. The reality: You should associate your bedroom and your mattress as a place to sleep—not a torture chamber. If you wake up and cannot fall back to sleep in 20 minutes, get out of bed and go to another room. Try and keep the room as dark as possible; if you must turn on a light, keep it dim. Avoid activities that require light, such as reading a book, or involve electronics (the blue light from laptops, smartphones and tablets is particularly effective at decreasing melatonin production, deterring sleep even further.) Instead, try doing some light stretching, praying or meditating. Once you feel yourself getting drowsy, return to the bedroom (not a couch or chair) and attempt to sleep again.